Chain Reaction Cycles has removed the image of a brake-free fixie from its site. This follows a complaint from campaigner Matthew Briggs – his wife, Kim Briggs, was killed in a road traffic collision involving a cyclist riding a fixie without a front brake. 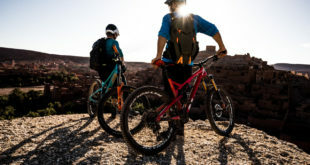 A statement from the retailer said: "Thank you for drawing our attention that there was a bike listed on Chain Reaction Cycles where the image of the bike did not show a front brake fitted. "The bike in question … is fitted with a front brake and this is checked to be working in the Chain Reaction Cycles warehouse before shipping. However, we recognize that the image of the bike on our site does not show this front brake in place. This was an oversight which we have rectified by removing that image immediately." Briggs is campaigning to get death and serious injury cycling offences into the Road Traffic Act. 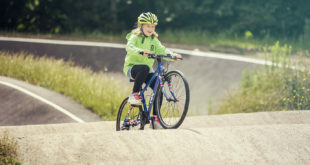 He is also urging bike companies to stop stocking, advertising and promoting fixed-wheel track bikes for road use, if such bikes are sold or shown without front brakes. The use on a public highway of a bicycle, of 635mm height or above, with no front brake is unlawful under Regulation 7(b) of the Pedal Cycles (Construction and Use) Regulations 1983. Kim Briggs died in 2016 after being hit by fixie rider Charlie Alliston on London’s Old Street. In last month’s high-profile trial the 20-year old Alliston was acquitted of the manslaughter of the 44-year-old HR consultant, who died from head injuries sustained after the mother-of-two walked into the road in front of Alliston, who was riding at 18mph. Neither were wearing helmets at the time of the collision. Alliston was found guilty of causing bodily harm by wanton and furious driving, an offence dating from 1861. He will be sentenced on 18th September, with the offence – defined before the existence of cycling – carrying a maximum penalty of two years’ imprisonment. Matthew Briggs is now tweeting as @BriggsCampaign and is contacting bike companies who he feels are selling or promoting fixies without front brakes, which according to the regulation quoted above are illegal for use on public highways. 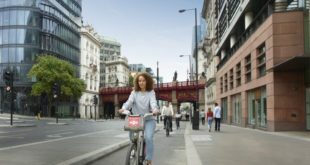 When Briggs contacted retail aggregator Not on the High Street about a brake-free fixies promoted by one of its partner companies the listing was taken down. "We’ve requested for the listing and image to be updated," said a Twitter reply from Not on the High Street. "The product is currently suspended pending these changes." 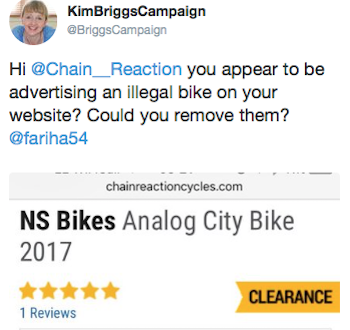 Briggs also tweeted to Chain Reaction Cycles concerning its NS Bikes Analog City Bike, which is shown without a front-brake. When BikeBiz pointed out that, in fact, this bike ships with a Promax RC453 front brake, Briggs said it was the imagery he wished to be amended: "I think its irresponsible to advertise bikes in an illegal state. People could get the wrong idea."